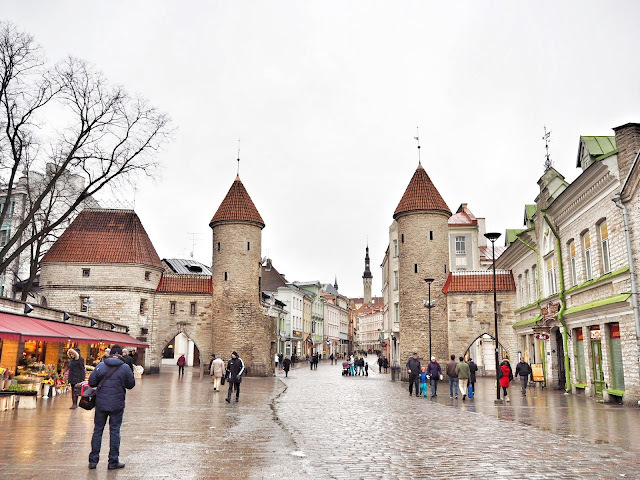 Pretty soon after, I started to hear about the amazing WiFi coverage in Tallinn, its capital city, and suddenly I couldn't stop myself - my internet history soon logged a rapid crescendo of searches that resulted in me acquiring all sort of factoids about how digitally advanced the country is. 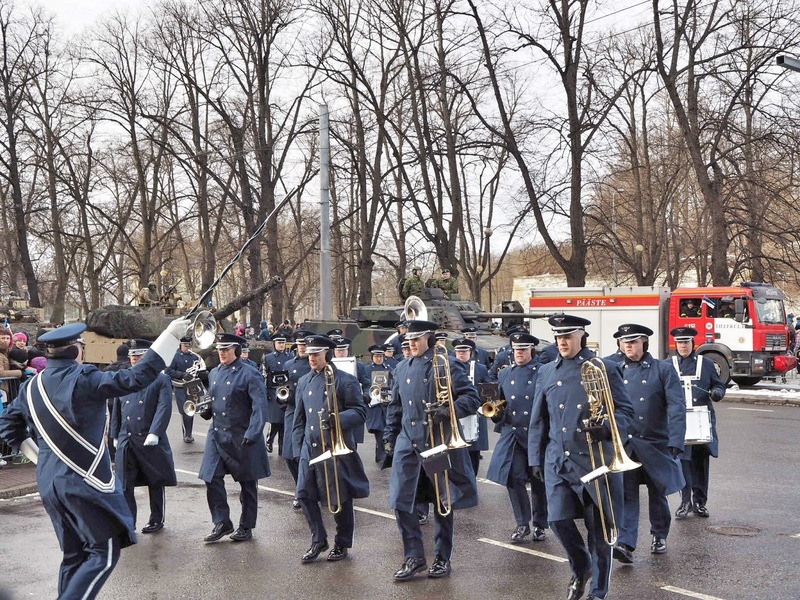 Skype was developed by Estonians! 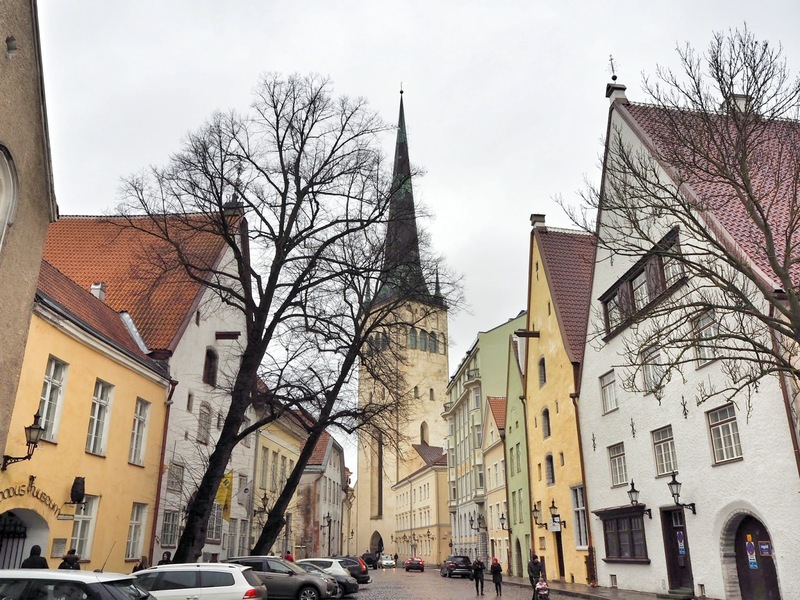 It was like Silicon Valley was hiding in a UNESCO-listed Medieval town. It was so weirdly appealing that when G suggested we go away for a week so we could get more work done without distraction (I know, so romantic), I couldn't shake the idea of Tallinn out of my head. 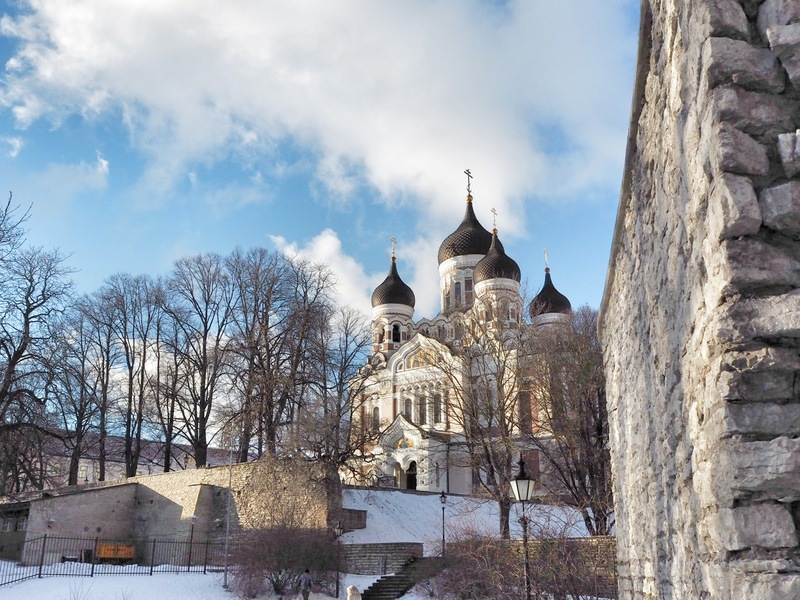 In true internet spirit, I got on Kayak - there were the cheapest tickets imaginable on Aeroflot (yep - it was more than fine) - then booked an awesome (and very inexpensive) apartment on Airbnb, and the next day, we were off. Regular folks (ie. 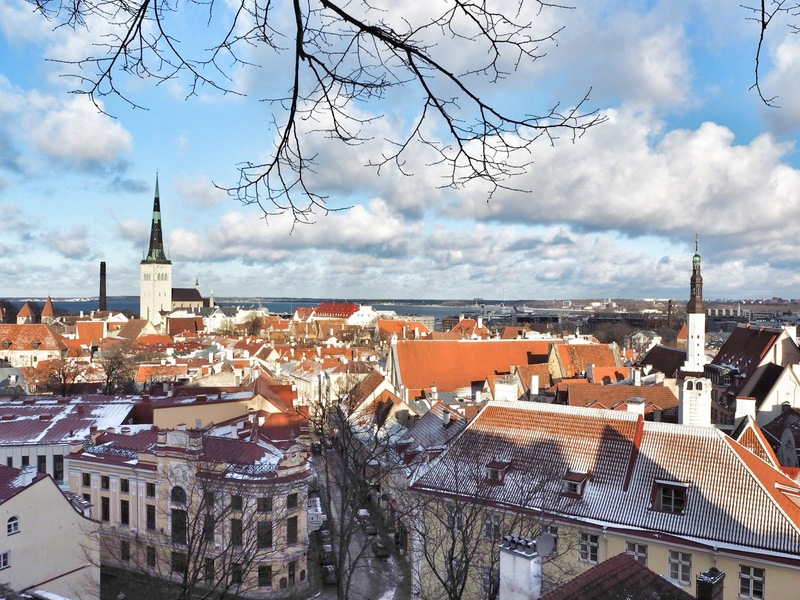 not nerds like us) are likely to have heard of Tallinn first and foremost for its famous Old Town, a Medieval walled city recognised by UNESCO. It's well preserved and quite atmospheric, but like I said in my other Tallinn post about going beyond Old Town, it can also feel like you're walking through a museum-slash-theme park at times. A note about transport. You can buy a public transport card and load money into it, but, this being Tech City, apps like Uber and local competitor Taxify work perfectly, and cost so little that buying transport cards for the two of us would have made no sense. The city is also highly walkable, so most of the time we actually just walked. We ate well - we had to work (and we also doing The RASA Challenge) so we mostly cooked easy meals at our Airbnb - fish, like local pike perch and wild salmon bought at our local supermarket were excellent; vegetables, not so much, which was a given, as it was still winter. Root veg was in abundance though, and you can still get your fix of greens that have been brought in from Spain and such. For special meals out, I mostly consulted White Guide Nordic, which is probably the most prominent restaurant guide in the region (Michelin hasn't reached Estonia yet). 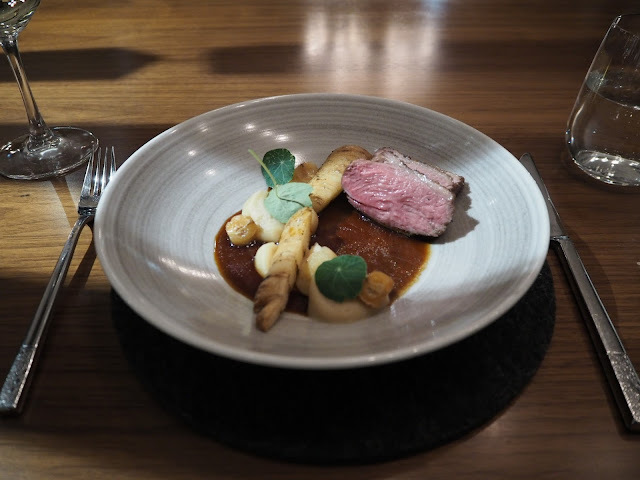 I'd say if you're into food (let's face it - why would you be reading this blog if you weren't) definitely make the trip to NOA Chef's Hall. 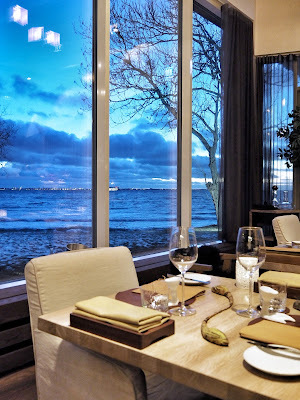 It's a little way out of the city (about 10km from Old Town), but as usual the taxi fare was negligible and both the setting (overlooking Tallinn Bay) and the meal (degustation, featuring ingredients and dishes essential to Estonians, like skyr and leib) were pretty impressive. There were some bizarre twists, perhaps from the pressure of "internationalisation" in the haute chef world, such as finger limes (they're Australian - quite literally the other side of the world) with our scallops, but taste-wise it truly worked, and I almost feel guilty for complaining. 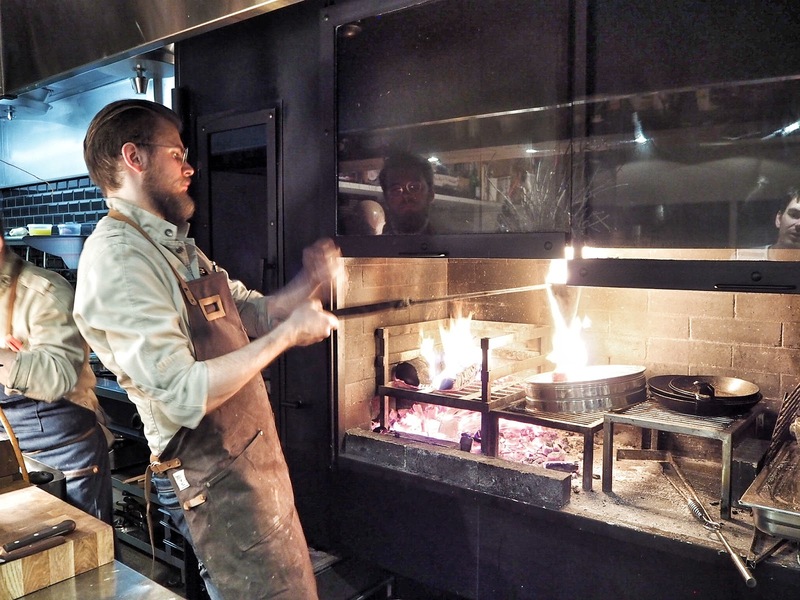 The "fire oil" method used to cook our dish of steak tartare (Black Angus - why not elk? Or am I exoticising) was definitely fascinating. Basically a metal cone on a rod is filled with chunks of pork fat, held over a charcoal flame, then the melting fat is dripped over the shreds of beef - it hardly cooks the meat, instead imparting a rich, primal smokiness. I found the sommelier extremely helpful too - I didn't really want to drink more than a glass of wine, so he kindly suggested a white wine that's had some maceration with the skins on (which would have been my choice too - since Georgia, I've been fascinated with white grapes + skin contact), Etnella KAOS 5.0 from Sicily. 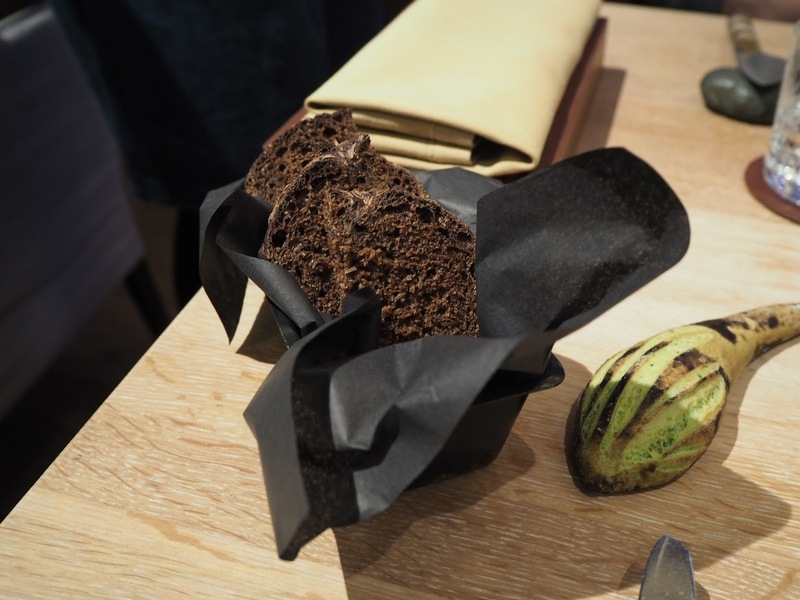 It had enough freshness and minerality for the seafood-based dishes, as well as a little structure from the tannins for the bolder courses. Another fine dining option is Restoran Ö. We had a shorter menu there, but the food was just as good, and really feels like a modern version of an Estonian kitchen. 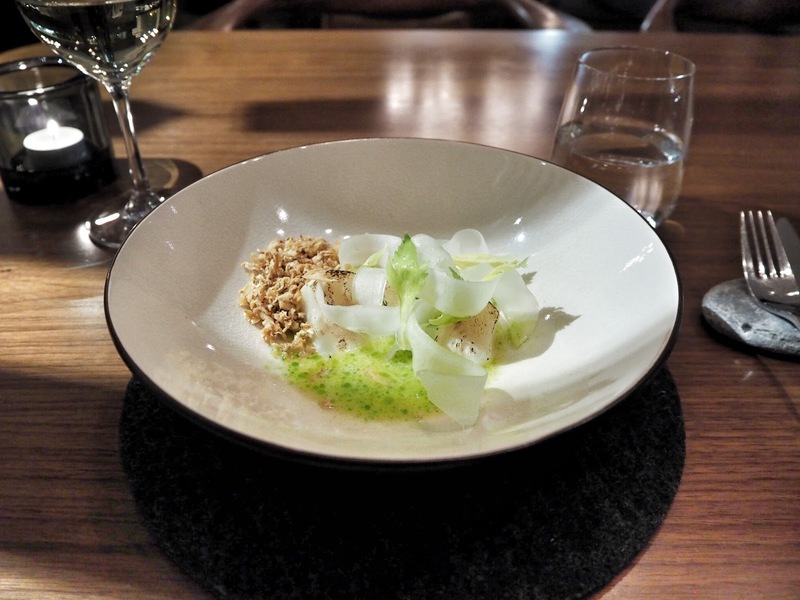 A dish plainly named "celery" was probably the most memorable - it featured celery 3 ways - celeriac (celery root), shaved celery and deep-fried celery. During the meal, a snow storm was brewing, so to repeat the vegetable issue - there were almost none this season, so I loved the idea of pushing a single plant to provide as much as possible on the plate. We didn't entirely escape Old Town (not that we meant to - it is the main attraction) - we had a very good lunch at Von Krahli Aed, which is on one of the main restaurant rows, Rataskaevu. Housed in an ancient building, the bones of which are exposed with rustic, washed-wall charm, it's cosy, even romantic (try and stay on the ground floor rather than the basement), but more importantly, the food is carefully, locally sourced, and every meal is built around a vegan dish - you can add meat or fish if you like, and the menu is clearly marked with common dietary restrictions. Most of the drinks list is organic too (including wines). 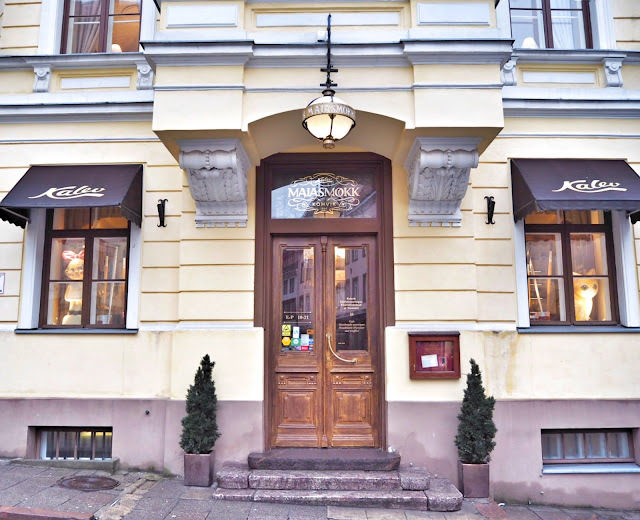 A good afternoon pit stop on your Old Town adventures is Kohvik Maiasmokk (Cafe Maiasmokk) - it's reportedly Estonia's oldest tea room founded by a German confectioner who specialised in marzipan. It's clearly been renovated recently, but it retains some old world glamour - there's a whiff of The Grand Budapest Hotel about it, albeit with a lick of fresh new paint rather than artistically decaying paint, if you know what I mean. 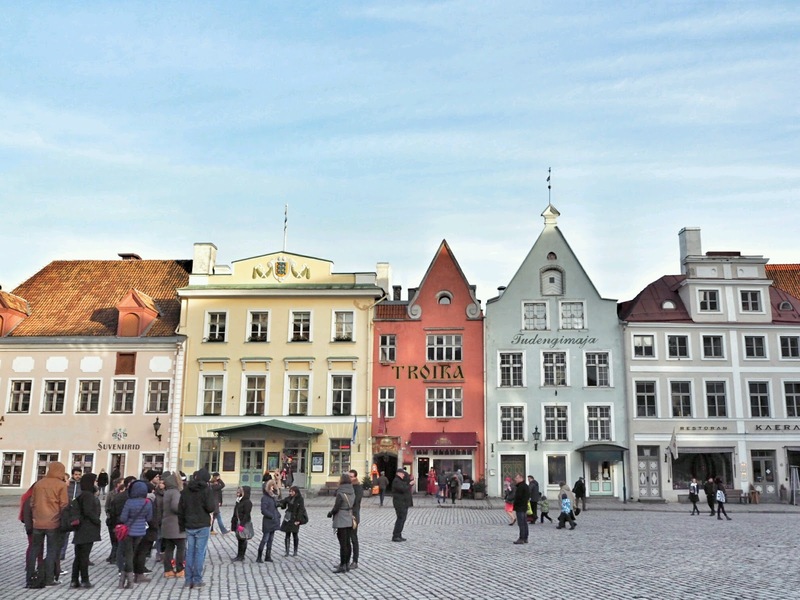 I think Tallinn is a very liveable city - I'm really glad that I spent more time there than the usual day-trip punter from Helsinki. The city's population is only around 450,000 (the country's population is just over 1 million, ie. Hong Kong has more people than the entire Estonia!) so it's never crowded, and the infrastructure, at least from what I could see in Tallinn, looks great. Its newfound independence (since 1991) seems to have encouraged them to equip themselves for the 21st Century and in my opinion, all the better for it.